The 1966 revolution was not about Milton Obote grabbing Buganda land. The 1966 revolution was a process which started with the 1900 Uganda (Buganda) Agreement and the land mark Busuulu and Envujo Law of 1928, where for the first time Buganda peasants’ agitation for security of tenure on their plots of land from the Mailo landlord was acceded to by the colonial protectorate government. The success of this peasant revolution in having their demands acceded to slowly over time evolved into a movement where power moved from the Landlord Protestant oligarchy at Mengo to political parties. The landlordism itself, had its origin in the successful battle of March 1899 when the forces commanded by a Muganda General Apollo Kaggwa who had successfully mobilised the Baganda against the tyrannical rule of the Kabakas, captured Kabaka Mwanga whose cruelty is today remembered by his order to kill by burning the Uganda Martyrs. The Ganda Generals could not take power directly as the Kiganda psyche still needed a Kabaka at the helm of power. To circumvent this custom, the Generals had even prior to the capture of Kabaka Mwanga chosen Mwanga’s infant son Daudi Chwa to be Kabaka. They deliberately chose an infant because what they wanted was not a Kabaka but a cipher who would stamp their revolution with the customary Kiganda Kabaka Authority. They succeeded in doing this and three top Generals; Apollo Kaggwa, Stanislaus Mugwanya, Kizito Kisingiri appointed themselves Regents of the infant Kabaka thus taking effective control of all powers in the Kingdom concluding the revolution which had been started during the religious wars. It was these men of power especially the assertive Apollo Kaggwa who negotiated the 1900 Agreement with the Colonialists. They enshrined their power in the agreement. The three had assumed the most powerful positions in the Kingdom, with Apollo Kaggwa taking that of Katikiro and additionally the title of “Kabaka w’ebweru” (the king outside the palace) leaving no doubt as to who had the power in Buganda. That power was mainly expressed in land allocation. Getting power from the Kabaka meant power to control land. 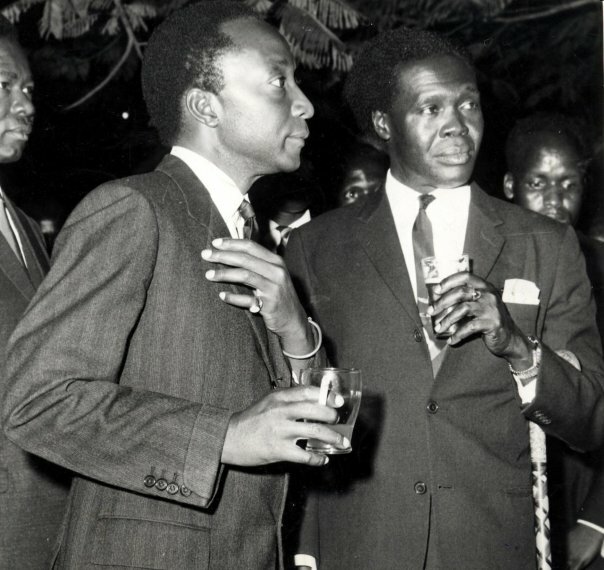 Land was an instrument of political power and holding that power marked the shift in power from Kabaka to the Regents who were now the ruling chiefs. The authority to allocate land was to flow not from Kabaka but from higher chiefs to lower chiefs. The higher the chief in hierarchy, the more land measured in square miles was allocated with the result that the more powerful chief Katikkiro Apollo Kaggwa got the biggest allocation. In reality it was a land grabbing exercise unprecedented in recent history. These mailo landlord chiefs were now the power in the land and members of the ruling Lukiiko (Buganda Traditional Parliament) which was composed entirely of themselves. These landlord chiefs saw themselves as friends of the ruling colonial power since they were the ones manning the indirect rule structure set up in the 1900 agreement and through which they were administering the Kingdom on behalf of the British colonialists. Because of the history of the religious wars, the vast majority of the chiefs were Protestants and ensured that the Protestant hegemony controlled all power in Buganda. They thus set up a protestant oligarchy which in the 1960s got to be known as the Mengo establishment. The head of the oligarchy was technically Kabaka Chwa but real power was with the chiefs. This protestant oligarchy controlled land, both the private mailo in their names in addition to the land attached to their offices as official mailo. The oligarchy exerted such harsh levies on the peasants tilling the land that the Bataka organized them into a movement whose rising forced the colonialists to bypass the mailo landlord Lukiiko and put in place a legislation known as the 1928 Busuulu and Nvujjo law. The enacting of the 1928 Busuulu and Nvujjo law gave the British Colonialists an opportunity to clip the powers of their friends, the landlord chiefs collaborators by granting security of tenure to the Bibanja peasant tenants and to clearly demarcate the official Mailo from the private mailo. This was done by placing all chiefs under salary and regularly transferring them from one Saza or Gombolola station to another consequently detaching them from the control of the official mailo which had been a source of extra income to whichever chief was holding that station. With the grip of the chiefs loosened from the official Mailo, a Land Board namely, the Buganda Land Board was established as the official colonial body to administer official Mailo. It was a colonial organ, accountable to the colonial state not only in terms of funds but also in appointments of the professional administrators, manning the Land Board. This position of official Mailo land administration was maintained in the 1962 Independence Constitution with the Buganda Land Board being the Body constitutionally set up to administer official Mailo. It was a constitutional statutory body and not a private company. With the advent of the 1966 successful revolution, and the enactment of the 1967 Constitution, the official Mailo was constitutionally consigned to the Uganda Land Commission. The private Mailo system on the other hand, was maintained without any changes. 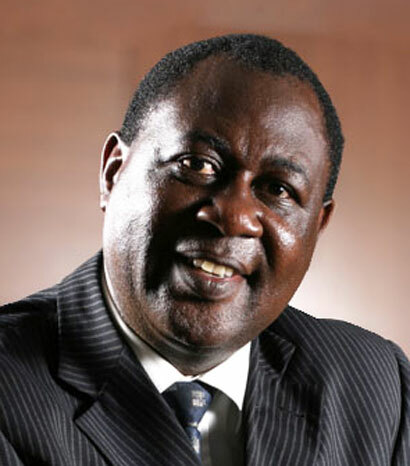 The Bibanja holders on the former official Mailo exercised their newly found freedom under the 1967 Constitution and applied to the Uganda Land Commission which issued them with leasehold titles for periods up to 49 years. When the 1975 Land Reform Decree was promulgated, the majority of the occupants on the former official mailo were already in possession of leasehold titles. The 1975 Land Reform Decree declared all land in Uganda, Public Land, administered by the Uganda Land Commission. This included’ private Mailo preserved under the 1967 Constitution and now converted under the 1975 Land Reform Decree to Lease-holdings of 99 years. The 1995 Constitution recognised the gains of the Bibanja holders made under the 1967 Constitution and has guaranteed Ugandans holding leasehold out of public land the right to convert it into freehold. Further, the “Guidelines on the administration of land” under the Land Act Cap. 227, protects those Ugandans who have not yet converted their leaseholds into freeholds. The effect of the above provision is clearly that constitutionally all citizens of Uganda now have a constitutional right of holding land in perpetuity. Thus constitutionally those Ugandans who converted their Bibanja holdings into leasehold do not have to go to a private company to revalidate or otherwise extend their expired leaseholds. Their right to either apply for freehold or extension of their lease is constitutionally guaranteed. It is clear therefore that the 1966 Revolution was not about confiscating Baganda Land. The Buganda Land was preserved throughout the changing political scenes, and is still preserved under the current constitution. The 1966 revolution was caused by one region namely Buganda not prepared to accept a less prominent role in Uganda’s affairs than the one it was used to enjoy under the indirect rule system. It was a struggle between the Mengo protestant oligarchy which had influenced Uganda Politics for seventy years, and an independent central government to whom the indirect rule structure was irrelevant. Kingdoms decline, power wanes and clearly the 1966 revolution could indeed have been the time when Buganda’s greatness reached its peak and when it began to wane. That star has been waning and it has never risen again. The voices claiming that the Milton Obote revolution of 1966 confiscated Buganda Land are not therefore backed by facts. There is a need to bow to the dictates of destiny, the sweep of history, abandon the never ending litany of “return our land,” and embrace the new constitutional dispensation currently obtaining in our country. The author is a senior partner, Kampala Associated Advocates smayanja@kaa.co.ug www.kaa.co.ug.